First let me start by saying that there is no right or wrong way to do this. It all comes down to matter of preference and how you want your day to flow. I'll kind of lay out what each option would look like here! 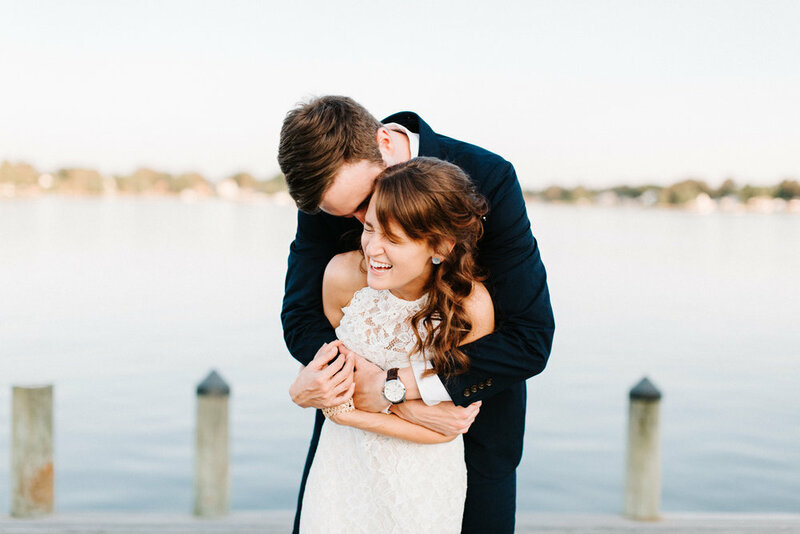 The first time your fiancé sees you is when you’re walking down the aisle. 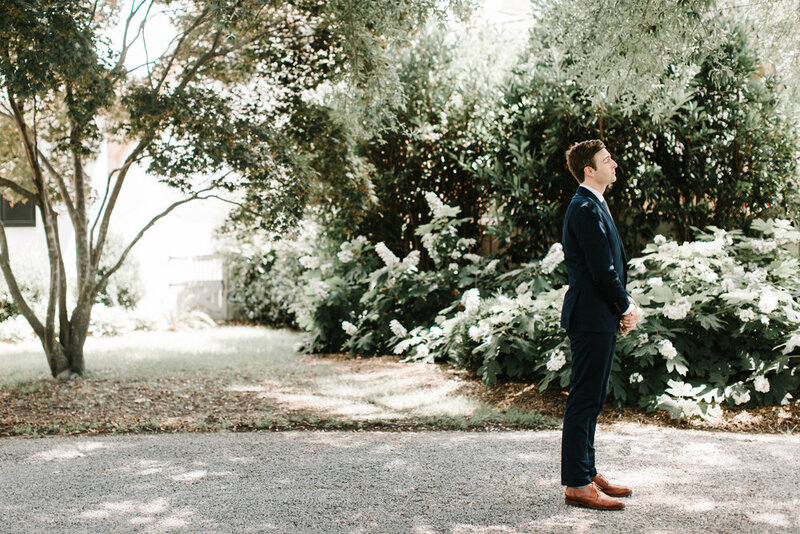 This is something that some grooms may feel strongly about, so make sure you have him weigh in on this decision! With this option some family pictures and bridesmaids and groomsmen pictures can be taken beforehand but there will still be a lot of pictures (all the family, bridal party and newlywed pictures that the bride and groom need to be in together) to take during cocktail hour and I would say to expect that those remaining pictures would take up the full cocktail hour. Depending on what time of year you’re getting married, you also run the risk of not having enough (or any) time with good natural light for bride and groom portraits. You can attend cocktail hour! 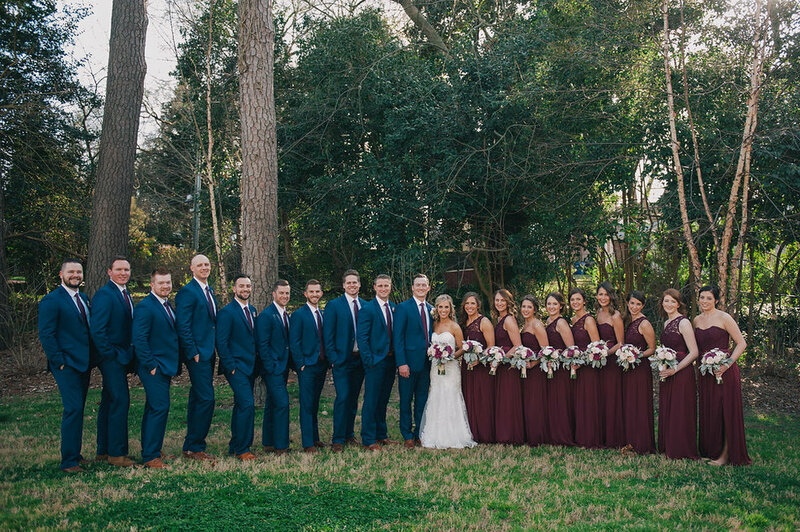 With a first look you could have all of your pictures (family, bridal party, and bride and groom portraits) out of the way and you could go straight to cocktail hour to enjoy more time with all of your guests. Or, you could just start early enough to knock out at least newlywed or maybe even newlywed and bridal party and then you'd only be left with family pictures which would mean you could experience at least half of the cocktail hour - tasting the hors d’ oeuvres you chose and spending time with your guests. Something else to consider is that when you wait to see each other and take pictures during cocktail hour, the photographer will typically start with the largest group photos first and then whittle down to just the bride and groom so that she or he can release people to cocktail hour as she goes. That’s typically looks like family pictures, bridal party pictures and then bride and groom portraits. If your family is big or your bridal party is hard to wrangle **wink, wink - you probably can guess if that will be your bridal party or not** it will end up being the bride and groom portraits that are crunched for time and hurried because you have a finite amount of time that you’re working with until cocktail hour is over and it’s time to announce you. Some people may feel that seeing one another before the ceremony is a “con” when they’re comparing “pros” and “cons”. 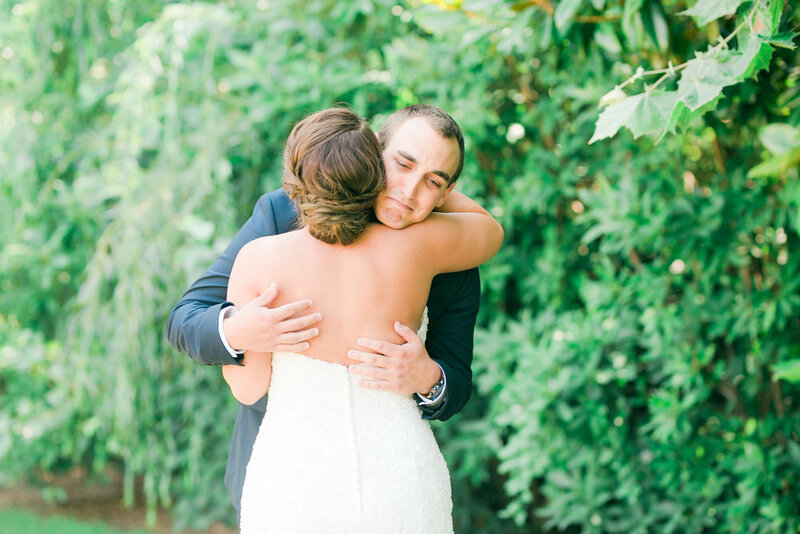 Now that I’ve seen so many first looks done though, I realize that the first time your fiancé sees you is super full of emotion and special… no matter when it is. 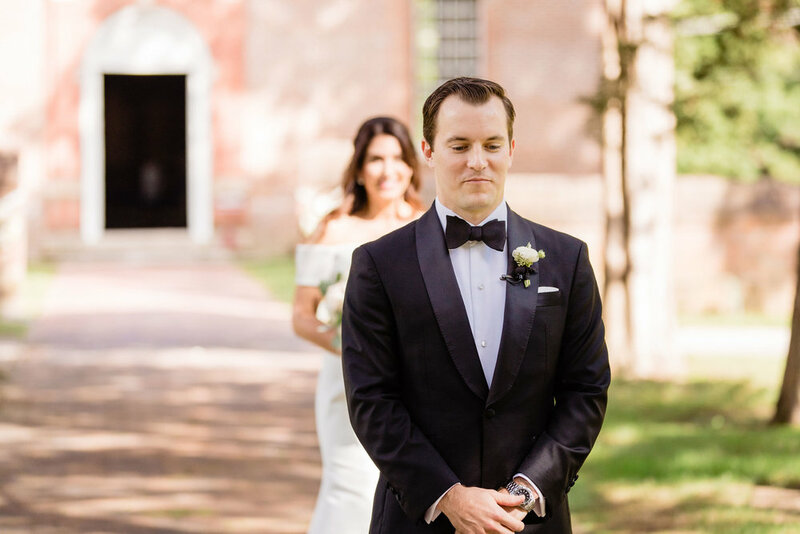 In fact, sometimes I think you get an even stronger reaction from the groom since he doesn’t have the nervousness created by all eyes being on him. It will also still be special and emotional when you walk down the aisle towards him (even if you’ve already seen each other) because that’s THE moment that you’re coming down the aisle to commit your life to one another. Does your photographer have a preference? It’s definitely worth having them weigh in to let you know if there’s any concerns on timing or lighting. And in case you’ve never seen what one looks like, here’s a few favorites for you to check out! 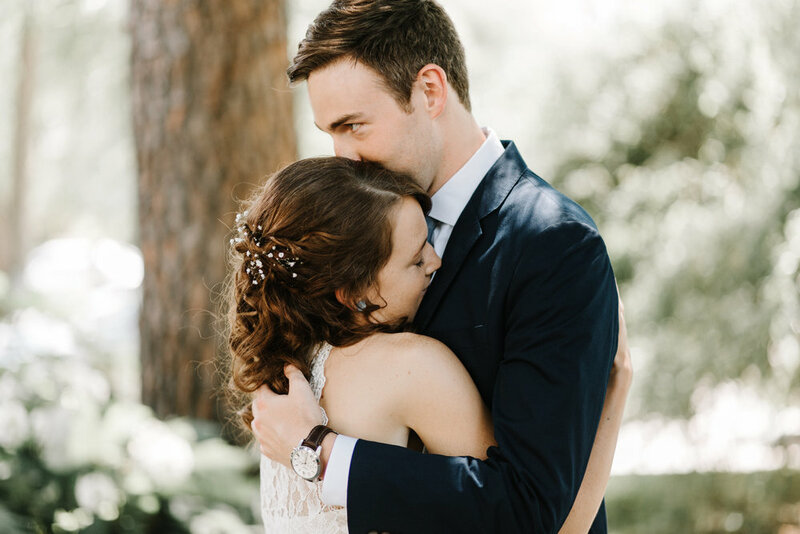 Joey and I didn’t do a first look at our wedding because we were adamant that we not see each other until the moment I was walking down the aisle. Now that I’ve seen so many first looks though, and knowing how we didn’t get to enjoy or really even see our cocktail hour (outside under the Gazebos at the Botanical Gardens) I kinda wish we could have experienced it and I think if I could re-work our wedding day timeline I would go with the first look option. Truly though, there's no wrong decision. It just depends on what your priorities are! So explore those options and do what feels right to you!